Join the TLC Quilters and make something beautiful that will keep people in need warm and show that someone cares about them. 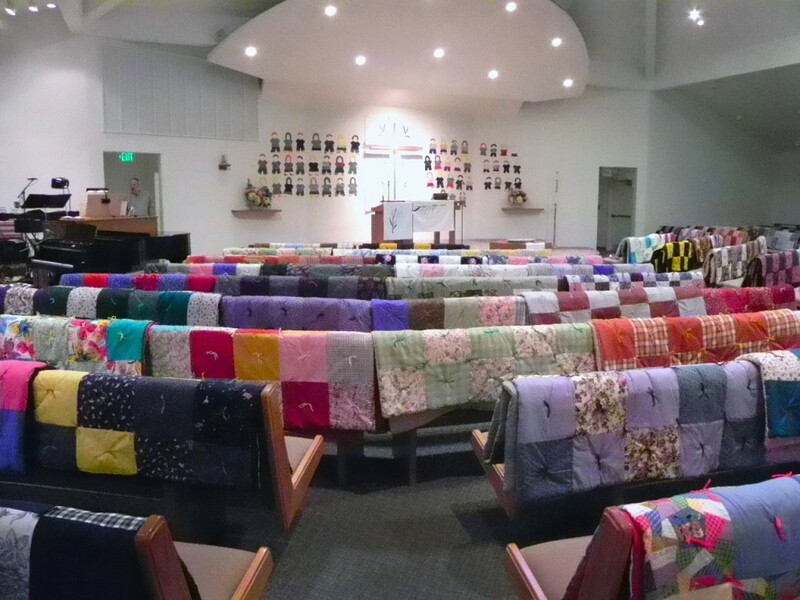 Every year we make more than 400 quilts which are distributed around the world, to disaster areas in our nation, people in need in our community, to nonprofits for fundraising raffles, and to members of our church at baptism, confirmation, high school graduation and those no longer able to attend church due to illness. Our quilt tops are made of donated fabric. batting for stuffing is purchased. Quilt back are either purchased sheets or donated fabric or sheets. 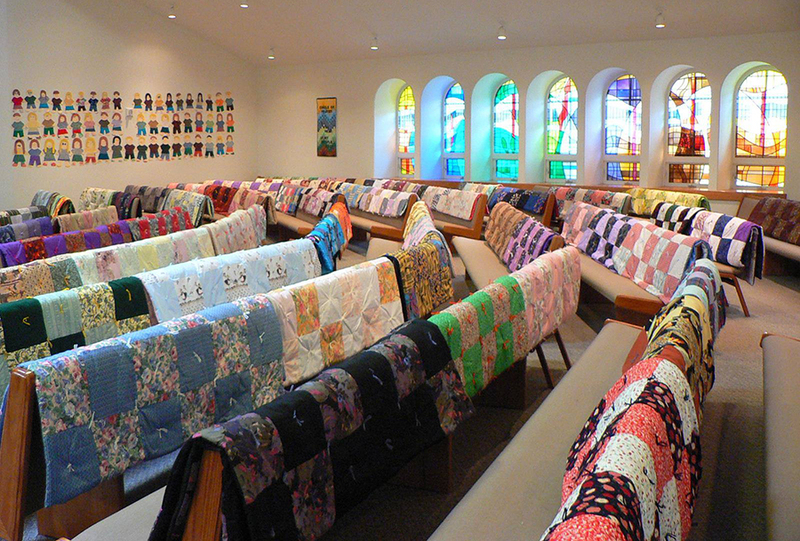 It costs approximately $8 per quilt for supplies. Funds for supplies are raised from our annual quilt auction and the raffle of a special quilt at the Holiday Bazaar. We welcome donations of cotton fabric at any time. that which we cannot use we recycle to Community Thrift. Don’t sew? No worry. We’ll teach you. Join us every Thursday at 9:30 a.m. in Grigware Hall, the old TLC building which borders State Route 525.